The day is fast approaching, my dears, which means Marissa and I will be taking time off the blog to celebrate with family and friends from today through January 3. That also means it’s time for presents! For my own part, I have made available a short story I wrote for a dear friend of mine, the inspiration for Hannah Alexander in the Lady Emily Capers. “Hurry Santa” is one of the only contemporary romances I ever wrote (don’t hold that against me!). You can find it on a secret page on my website. 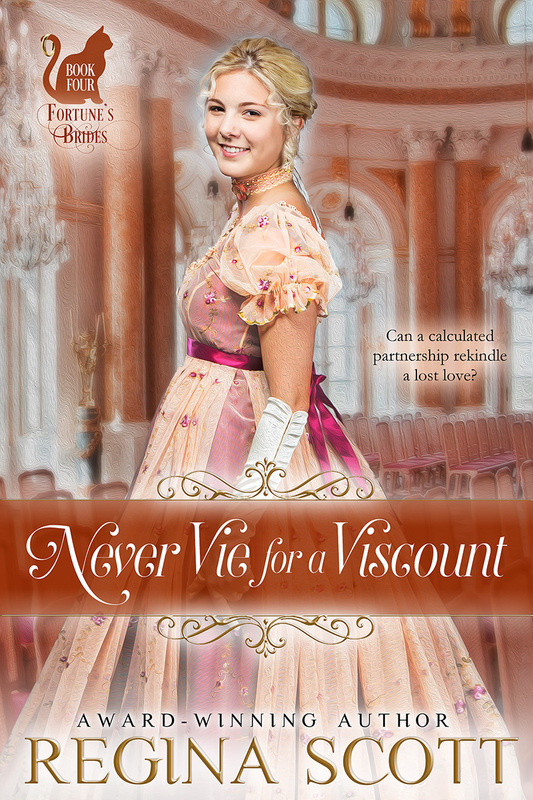 And if you simply cannot wait for the next Fortune’s Brides story, you might want to know that the fourth book, Never Vie for a Viscount, is now available for preorder. 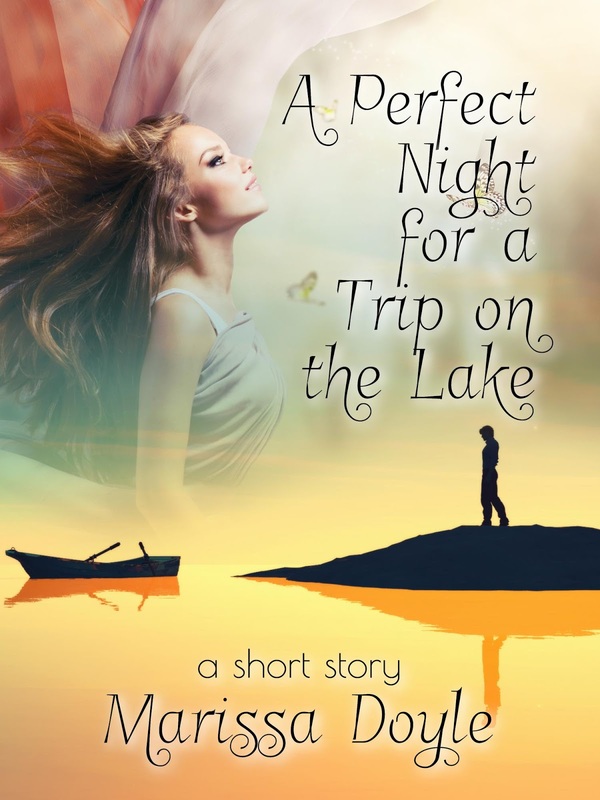 Lydia Villers wants to leave behind her life as a social butterfly and pursue a career in natural philosophy. A shame the only scientist available to assist her is the man she had once hoped to wed. Viscount Worthington has been betrayed once too often, including by the bubbly beauty who now wants to work at his side. How can he believe Lydia’s intentions are true this time? 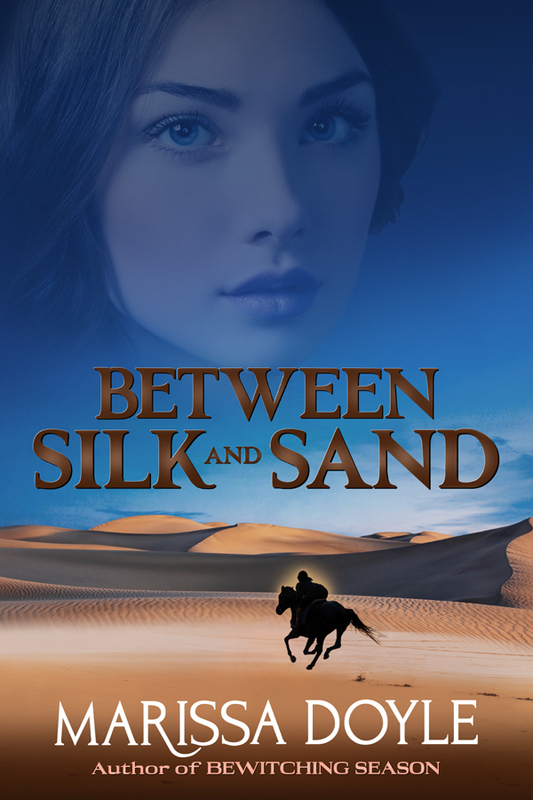 With the help of Miss Thorn and her beloved cat Fortune, an enthusiastic young lady and a wary lord might just discover that only together do they make the perfect chemistry. You can preorder the e-book at the following online retailers. 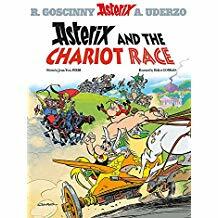 The print edition is available at Amazon. May your Christmas be filled with wonder, and your New Year with hope. See you in January. I’m drawing up my grocery shopping list for my family’s Christmas dinner (it’s just a week away—eek!) We always have a roast beef at Christmas, served with the traditional horseradish sauce. Queen Victoria evidently enjoyed a good piece of roast beef herself on December 25. But because I live in New England, not the old one, our roast beef is eaten with those lovely bubbles of bready goodness, popovers. 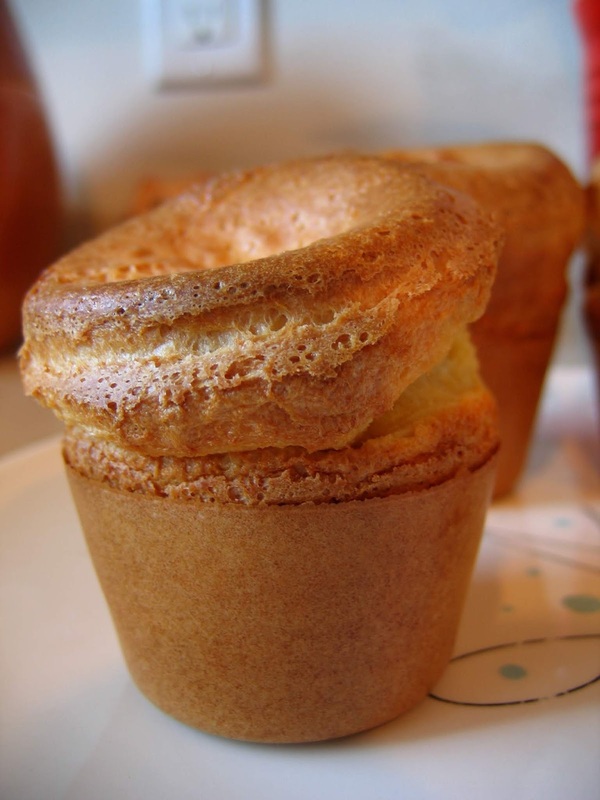 For those who haven’t had the good fortune to be acquainted with popovers, they are muffin-shaped, mostly hollow rolls made from a thin, eggy batter; they are baked in either muffin cups or in special high-sided popover pans. Cooked in a very hot oven, the thin, liquid batter releases lots of steam, which creates the hollow effect, rather like a soufflé. When done, you slather popovers with butter and enjoy...honestly, given the choice I’d rather skip dessert on Christmas and just eat more popovers. The origin of the popover is in Yorkshire pudding, the traditional accompaniment to a beef roast, which follows a similar recipe but is cooked in a pan (originally set under the spit on which a roast was cooking, so that the dripping juices from the roast fell into the pan of batter, enriching it.) For some reason, cooks in the new world came up with the idea of cooking the batter in individual, small servings and using butter rather than meat drippings...and the rest is delicious culinary history. Being huge popover fans in my family, we have the special popover pans, but 5 oz. Pyrex custard cups will work as well. Set your oven rack to the middle of the oven, because these babies rise. Generously butter a dozen or so small Pyrex custard cups; set them in a baking pan, which makes the whole thing easier to handle. Whisk together all the above ingredients, preferably in a mixing bowl with a spout. The batter should be thin—rather the consistency of heavy cream—and don’t worry if it’s a bit lumpy. Pour the batter into the prepared cups till they’re about half to two-thirds full—don’t fill them completely or they won’t puff. Put them in a cold oven and turn it on, setting the temperature to 425°. Set the timer for 45 minutes, and go do something else to take your mind off them, because you can’t peek—if you open the door, kittens will sob, puppies will turn their backs on you, flowers will fail to bloom...and your lovely popovers might collapse. Only after 45 minutes can you check on them, to make sure they’re deliciously golden brown; depending on your oven, a few more minutes might be necessary. When done, remove them immediately from their cups, and serve at once with butter. Enjoy...and I hope your year-end celebrations are warm and wonderful. See you next year! 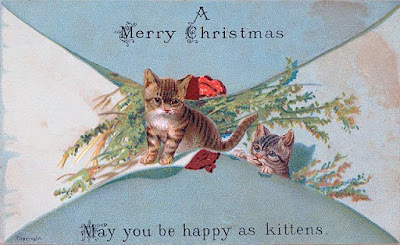 When you think of a nineteenth century Christmas, you might think about muffled carolers going door to door, couples meeting under the kissing bough, and Yule logs burning in massive stone fireplaces in country houses built ages ago. But chances are, you don’t think about sitting in a lecture hall listening to a natural philosopher extol the virtues of chemistry. 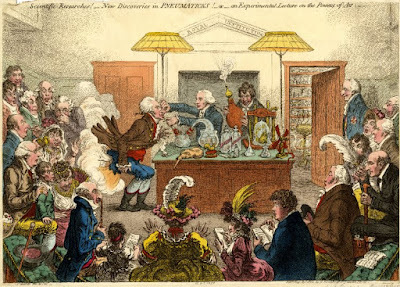 The Royal Institution was founded in 1799 by members of the Royal Society who wanted to see their scientific advances be turned beyond the acquisition of knowledge to improve industry and medicine and to interest people outside their exalted sphere. From the beginning, they planned on giving lectures and demonstrations. 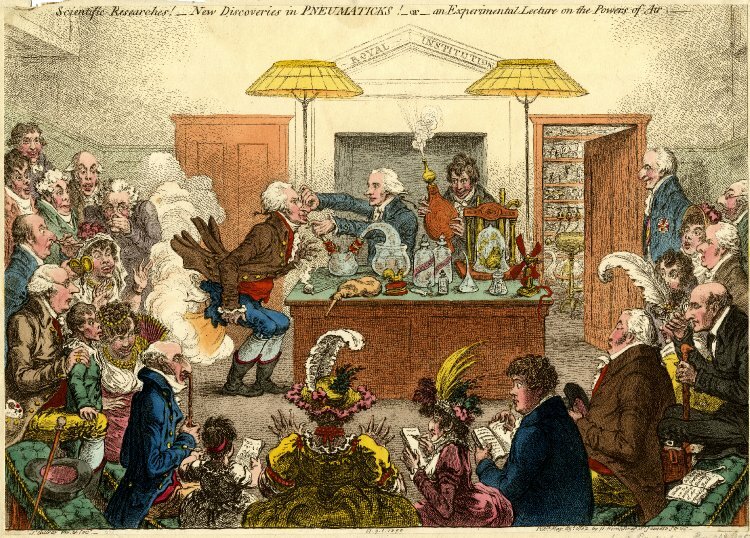 Sir Humphry Davy, a noted chemist who is, sadly, most often associated with the discovery of laughing gas, insisted on the Royal Institution conducting scientific research as well. Good thing too—research there led to discoveries of new elements and the development of the electric motor. But lecturing and demonstrating remained a key component of the Royal Institution. The founders built a large lecture theater in 1800, holding lectures for adults. By 1816, they were also holding lectures for medical students in the laboratories themselves. Davy was succeeded by William Thomas Brande in 1813, and he was succeeded by Michael Faraday in 1821. 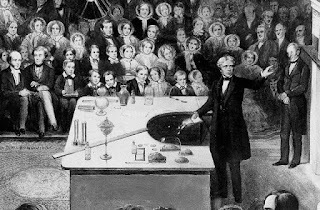 It was Faraday who conceived of the Christmas lectures, a special series of talks given during Christmas holidays, with “spectacular demonstrations,” for youngsters. Many of these lectures were given by Faraday, but others were given by his contemporaries. Faraday gave his last lecture in 1860, “On the Chemical History of a Candle,” which later was published in book form. The book is still in print. Prince Albert and two of his sons attended. Queen Victoria did not attend, but if you look closely in the pictures, you will see women at the lectures. Beginning in the 1870s, the topics once again narrowed. Titles now promised to explain “Burning and unburning,” “The motion and sensation of sound,” “Heat, visible and invisible,” and “A soap bubble.” The 1880 lecture focused on atoms. Since the 1960s, the lectures have been televised. You can catch up on them at the Royal Institution website. A new Christmas tradition, perhaps? Christmas and books. They just sort of go together, don’t they? Well, they do when it comes to my Christmas shopping list. I don’t give as many as I used to within my immediate family because we all have Nook e-readers and share a Barnes and Noble account—you don’t want to know how many e-books we have! But I always save a few special selections for Christmas giving: daughter #1 is a manga fan (and loves wolves), so she’s getting Wolf Children: Ame and Yuki; daughter #2, who is studying jewelry making, gets the enormous new release Jewelry: The Body Transformed and Indian Jewelry Making, and the whole family is getting some of the newer Asterix books, continued by a new artist and writer team now that Uderzo and Goscinny are no more. I also have other family that I always get books for at the holidays like my mother in law, to read on the plane as she makes her annual trip to warmer climes. 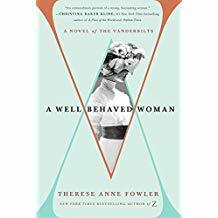 This year it’s A Well Behaved Woman by Therese Ann Fowler, historical fiction about Alva Vanderbilt, and The Women in the Castle by Jessica Shattuck, set during and after World War II. And my dear friend Liz is getting White Mughals by William Dalrymple, about 18th century East India Company agents who fell in love with India—and with Indian women. 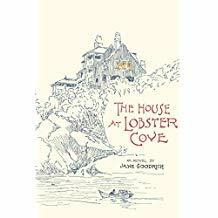 And—ahem—I may have ordered one or two books for myself, too...The House at Lobster Cove by Jane Goodrich—about an extraordinary house that was destroyed and then rebuilt, each time by two extraordinary people, and The Shepherdess of Elk River Valley by Margaret Duncan Brown, who single-handedly ran her Colorado ranch for nearly fifty years, somehow found their way into my basket. Almost done with my Christmas shopping (don’t hate me, and don’t tell me you finished in October). 😊 As we have in past years, I thought I’d alert you to presents that any aficionado of the nineteenth century and avid bookworm might enjoy. Let’s start with books. Fabric a la Romantic Regency appears to be a lovely glossary of fabric terms from the early nineteenth century. Ever want to know the difference between sarsnet and lustring? This ought to tell you. There’s also an interesting tome, Jane Austen’s England, that promises to look closer at the places and situations depicted in Jane Austen’s novels. And this one tickled my fancy: How Jane Austen Kept Cool, all about Georgian ice cream! Perhaps your more in the mood to make sure your favorite books remain in the family. Check out this embosser, which will tastefully mark the books with your name. Mugs always seem a popular gift. This one has a unique slant. 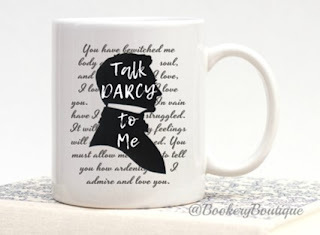 Need something to put that new mug on? Try these coasters of Jane Austen books. 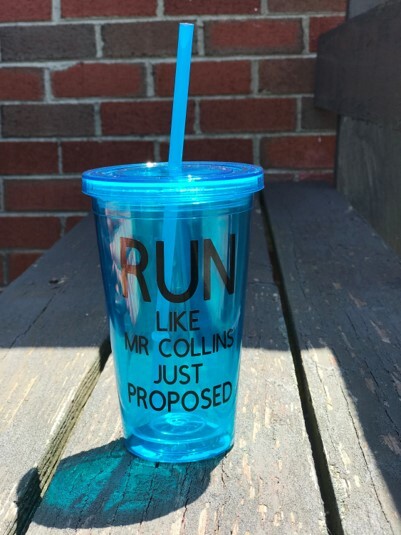 Or perhaps you’d like to step up your organization approach. 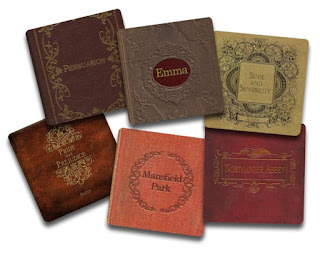 Love these file folders from the Victorian Trading Company. 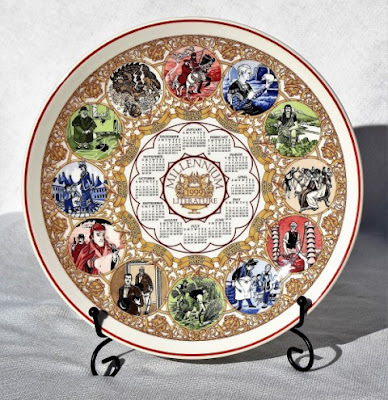 Finally, you can be reminded of all your favorite British authors, from Shakespeare to Tolkien, with this decorative plate. There’s only one, I’m afraid. Sometimes, good things happen when you least expect them. Then, a week or so ago, I received some unexpected good news: “Alea Iacta Est”, my story in the Book View Café Anthology Nevertheless, She Persisted, won second place in the Short Historical Fiction category of the International Digital Awards, which I’d completely forgotten I had entered last summer. It was a nice piece of news...as was the email that arrived a couple of hours later, informing me that Between Silk and Sand had won the Young Adult Novel category in the same contest. But more importantly, it reminded me that yes, I really am a writer...and while I’ve been temporarily unable to write anything new due to circumstances beyond my control, nothing can prevent me from getting back to work when time and mental space permits. Here’s to more words shared. Soon.